Nick Kaplan specialises in commercial and contractual disputes, with a particular emphasis on construction and engineering. Nick has detailed knowledge of the full range of construction issues and has dealt with a wide variety of both contentious and non-contentious matters. His experience includes: payment disputes, delay claims, claims for defective works, claims arising from defective construction materials and associated product liability, construction professional negligence, enforcement of adjudicators’ decisions and recovery of adjudicators’ fees and expenses. Prior to joining Chambers, Nick worked in the Construction and Engineering Department of a leading City law firm. His work was particularly focused on advising and preparing submissions in relation to complex and high-value construction adjudications. In that capacity Nick also gained experience defending clients in a number of Health and Safety prosecutions by the HSE, and is familiar with the range of health and safety challenges that those in the construction sector face. During his GDL and BPTC years Nick was involved with a number of legal advice clinics where he advised clients on a range of matters including employment and housing management issues. Nick is familiar with all standard forms of construction contract and regularly advises employers, contractors and subcontractors in relation to disputes that arise under them. Nick also has extensive experience in advising clients in relation to large-scale maintenance and supply contracts, particularly in the social housing sector. Nick has particular experience running, and drafting submissions in, construction adjudications ranging from low-value to multi-million pound disputes. Nick both brings and defends adjudications and is well versed in the particular strategic and legal challenges that the adjudication process gives rise to. He has both brought and defended a number of challenges to adjudicators’ decisions in the courts, and has advised and acted for adjudicators looking to recover their fees. Nick is currently instructed by the Government of Montserrat in a high value arbitration concerning allegations of repudiatory breach of a construction contract and associated claims and counterclaims. In Hog Construction Ltd and Hog Group Limited v Michael Paul Langridge (2018) EWHC 2889 (TCC) Nick successfully acted for the claimants in a Part 8 claim seeking declarations that the defendant was not entitled to adjudicate against either of the two claimants. Nick is currently instructed by a well-known adjudicator looking to recover his fees and expenses following a series of contested adjudications. Nick was involved with the preliminary ‘desk-top’ investigations into the fire at Grenfell, consequently he is familiar with the particular challenges faced by building owners and contractors in relation to fire-safety regulations, cladding and construction defects. Nick referred an adjudication in relation to a contractors application for a 700+ day extension of time, successfully arguing that on proper assessment of the EOT claim the contractor was entitled to no extension of time. Nick successfully defended a client in a prolonged £12 million adjudication arising under a large maintenance and supply contract which covered thousands of properties across the country. After several rounds of submissions, the Referring Party was awarded just 5% of the sums it had claimed. Nick subsequently advised on the settlement negotiations between the parties. Nick advised and represented a well-known adjudicator in a successful summary judgment application for the recovery of the adjudicator’s fees. Summary Judgement was granted and the adjudicator’s fees and his expenses in pursuing them were recovered. 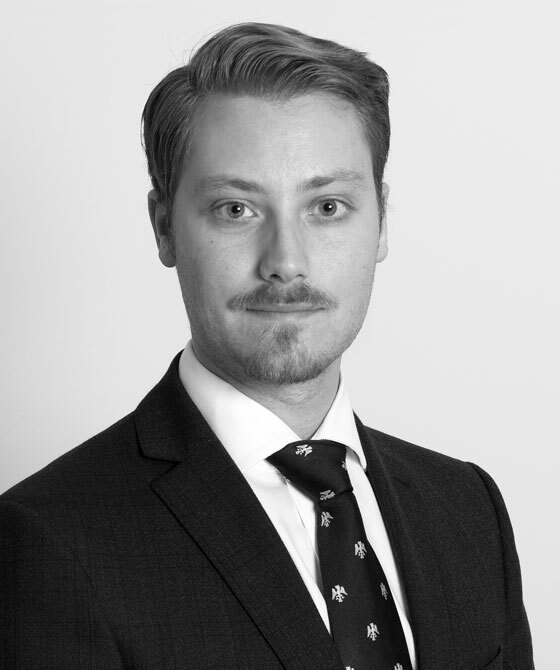 In The Vinden Partnership Ltd v ORCA LGS Solutions and Others (2017) EWHC B24 (TCC), Nick advised and represented the well-known adjudicator Peter Vinden in a successful summary judgement application for the recovery of Mr Vinden's fees. Nick resisted enforcement of an adjudicators’ decision, successfully arguing that the adjudicator had lacked jurisdiction to determine the dispute..